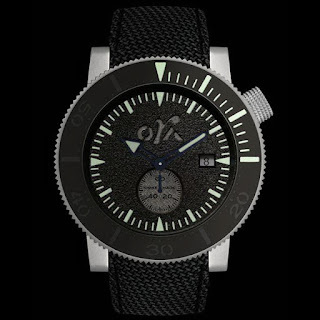 By TLex Here's a quick look at a couple of new versions of the beautiful ORA#2. The Ora#2 Blue with its white markers, 3 o'clock crown and blue accents, the Ora#2 Green with its green hands and markers and 2 o'clock crown. 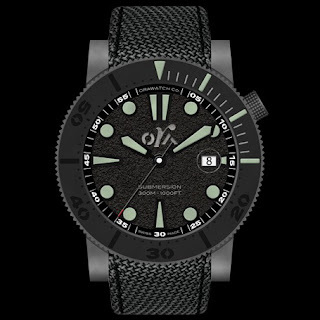 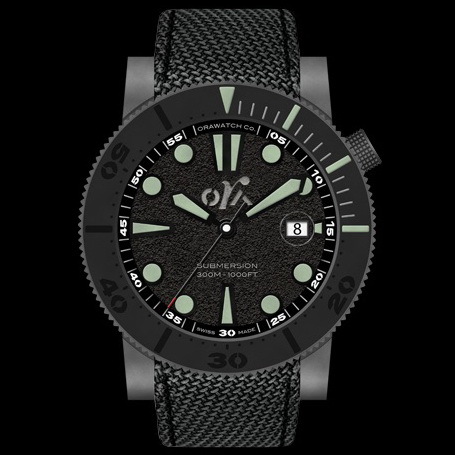 Special features of the Ora#2 include: a black textured dial as well as a divers bezel and crown with clous de Paris decoration. 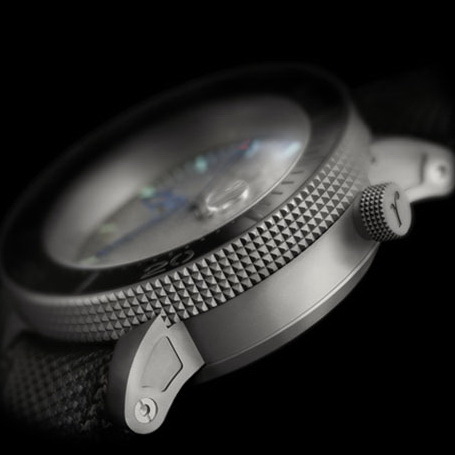 Divers features include: a 45mm Ø shot-blasted Titanium case, a screwdown crown and caseback, a Sapphire crystal, a rotational divers bezel and a water-resistance to 300m / 1000 ft. 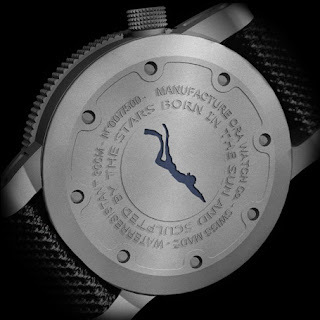 The case back features a freediver motif with inscription 'born in the sun and sculpted by the stars'. 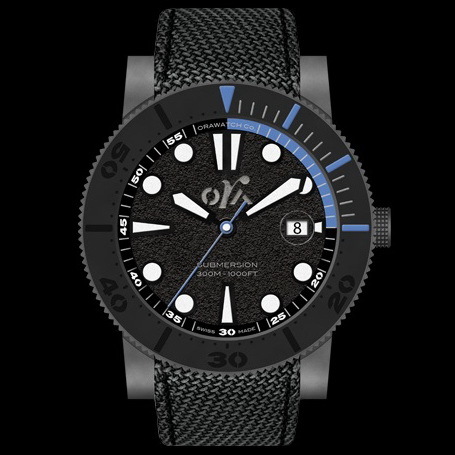 The Ora #2 Automatic diving watch is powered by an ORA P200 manufacturé movement.